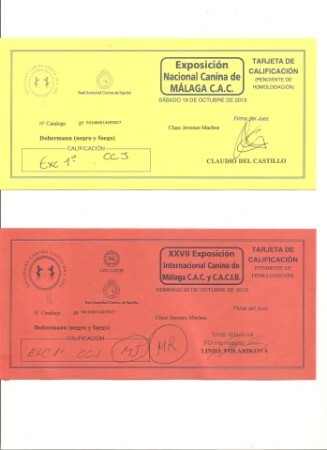 CALIFICACIÓN EXCELENTE, 1º CCJ - EXPOSICIÓN NACIONAL CANINA DE MÁLAGA C.A.C. 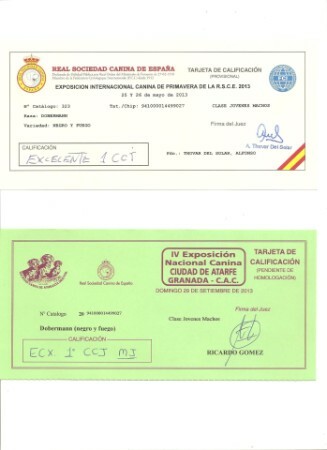 CALIFICACIÓN EXCELENTE, 1º CCJ, MEJOR JOVEN, MEJOR DE RAZA - XXVII EXPOSICIÓN INTERNACIONAL CANINA DE MÁLAGA C.A.C. Y C.A.C.I.B.